start when you need to figure out which class your new class should extend. those differences when we get to Polymorphism, later in this chapter. problem,” because it looks like a diamond when graphed (see Figure 6-1). which method we meant to use? 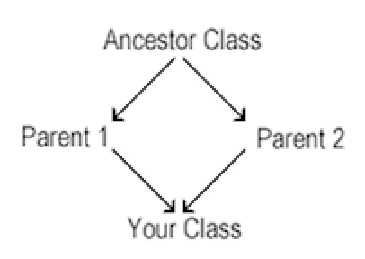 Java prevents all that by not providing multiple inheritance.